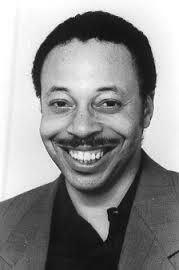 Poet and novelist George Elliott Clarke was born in 1960 in a small black community near Windsor, Nova Scotia. In 1984, Clarke attended the University of Waterloo for his undergraduate degree; in 1989 he obtained his MA in English from Dalhousie University, and in 1993 he completed his Ph. D at Queen’s University. Clarke taught English and Canadian Studies as an Assistant Professor at Duke University in North Carolina from 1994-1999, and currently works as a Professor at the University of Toronto, where he is also honored as Toronto’s Poet Laureate (2012-15). Clarke’s first book of poetry, Saltwater Spirituals and Deeper Blues (Pottersfield Press) was published in 1983. Since then, Clarke has published thirteen books of poetry, some of his most popular being Execution Poems (Gaspereau Press, 2000), Whylah Falls (Raincoast-Polstar Books, 1990), Blue (Raincoast-Polstar Books, 2001), and Traverse (Exile Editions, 2014). Clarke is also well known for his extensive list of scholarly articles, prose, fiction, screenplay, and stage productions. Seed her moist womb when she was just thirteen. Until his heart seized, choked; his love gave out. Like orange peels and tasted like rum, good God! I knead earth into bread, spell water into wine. Or pain — a screw jammed in thick, straining wood. Published in.Blues and Bliss. Wilfred Laurier University Press, 2008. Print. George Elliott Clarke’s poem “Look Homeward, Exile” presents some strategies for survival undertaken by members of a fictional African Canadian community on the individual and communal levels. In his essay on Clarke’s work, Daniel Samson points out how “African-Acadians survived their exile by forming separate communities and identities built on the social geography of Nova Scotia” (67). “Look Homeward, Exile” explores the lives of particular individuals who suffered hard times and death; Clarke names them “Pushkin,” “Marrocco,” “Lavinia,” and “Toof,” making the characters more real to the reader (5-7, 10). Readers’ identify with the individuals of the poem, creating a sense of community so that neither reader nor characters are outsiders, but become invested in the successful collective. To facilitate readers’ identification with characters, Clarke’s poem paints pictures with words of those who have suffered violence, violation, and sometimes death. The characters are characterized as the rejects of the community, but instigators of, and subject to, violence. In the most extreme cases, individuals perish at the hands of others, after suffering “Depression” and “hurt,” which perpetuates in the disjointed community (15). No matter the source of the pain, its results remain simply “dreams beaten to one, tremendous pulp,” which damages the whole community (15-17). As Clarke’s poem unfolds, he includes the reader instead of making him or her an outside observer. This first step towards such inclusion occurs when he describes an individual via the sense of smell: “And in my love’s dark, orient skin that smelled/Like orange peels and tasted like rum, good God!” (25-26). Clarke employs sense-infused memories to make the speaker’s personal experience relatable to readers. Moreover, familiar symbols, such as when the narrator’s “granddaddy” was hurt by “bottle after bottle of sweet death” (15-16), help accent the physical reality of the memories. Readers know the connotations associated with the “bottle” and alcohol, including, as is the case here, the morbidity of alcoholism. The last few lines of “Look Homeward, Exile” take the situations mentioned earlier – people being “beaten” and rendered full of “anger” (18) – and embed them in a lesson on community wherein no one is forgotten: “For nothing heals those saints felled in green beds/Whose loves are smashed by just one word or glance/Or pain—a screw jammed in thick, straining wood” (32-34). The poem’s appeal to universal understanding, a common experience, and community is in the various poetics applied by Clarke to move “Look Homeward, Exile” away from being about mere individual expression of experience to being a communal treatise on the cost of blessed survival. By rendering the individual names and fates of several community members, Clarke reminds readers of the price Africadians have paid for freedom. “Look Homeward, Exile” is a poem that explores individual psychology in order to explicate the fictionalized story of a suffering community. Clarke brings the reader closer to an understanding of what a struggling community goes through and to help readers identify with “a society set apart yet – within” (Samson, 67). As readers journey through Clarke’s poem, they find their places both in feeling the spirit of individual struggles, but also in feeling the collective yearning to construct a distinct community of strong survivors. Clarke, George Elliott. Blues and Bliss: The Poetry of George Elliott Clarke. Waterloo, Ed. Jon Paul Fiorentino. Wilfrid Laurier University Press, 2008. Print. Samson, Daniel. “George Elliott Clarke's Songs of Love and Pain From Africadia: An Introduction to "The Apochrypha of Whylah Falls".” Left History, 2(1). 67-70. ProQuest. Web. Jun. 9, 2015. Clarke, George Elliott. "À Baha Mar, Pompey Commences Rebellion (1830)." Our Times. 34.4 (2016): 49. Print. ---. "Ante-Bellum, Autumn 1860, By Abraham Lincoln and: Letter to the (African Baptist) Messiah." African American Review 50.4 (Winter 2017): 459-463. Print. ---. "A Very Healthy Endeavour." Prism International. 55.3 (2017): 7. Print. ---. Black. Vancouver: Raincoast—Polestar Books, 2006. Print. ----. Blue. Vancouver: Raincoast—Polestar Books, 2008. Print. ---. Blues and Bliss The Poetry of George Elliott Clarke. Waterloo, Ed. Jon Paul Fiorentino. Wilfrid Laurier University Press, 2008. Print. ---. "Canticles." Dalhousie Review. 95.3 (2015): 329. Print. ---. "Diary of Sally Hemings Á Paris (ii)." Callaloo. 39.3 (2016). Print. ---. "Ecclesiasticus (V) and: Wisdom of Solomon (XIX) and: Wisdom of Solomon (II)." African American Review 51.3 (Fall 2018): 233-236. Print. ---. "Everything is Free." Black Then: Discovering Our History, blackthen.com, 12 February 2018. Web. 24 October 2018. ----. Execution Poems. Kentville: Gaspereau Press. 2000. Print. ---. "Fire!!!" Event. 43.3 (2015): 42. Print. ---. Gold. Kentville: Gaspereau Press, 2016. Print. ----. Gold Indigoes. New York: Wren Press. 2000. Print. ---. I & I. Fredericton, N.B. Goose Lane Editions, 2009. Print. ----. Illuminated Verses. Toronto: Canadian Scholars Press, 2005. Print. ---. "Judith." The Dalhousie Review 98.1 (Spring 2018): 75-86. Print. ---. "Julia Ward Howe Composes ‘The Battle Hymn of the Republic’ (1861)." The Walrus. 12.10 (2015): 59. Print. ---. "Lincoln Reviews the Prospects for Peace (Pace Appomattox), and: Julius Caesar's Report on His Assassination, and: Nat Turner Talks (1831)." Transition 124 (2017): 45-50. Print. ----. Lush Dreams, Blue Exile. Lawrencetown: Pottersfield Press, 1994.Print. ---. "On the Centennial of the October (Bolshevik) Revolution: A Canticle." Labour 81 (Spring 2018): 241-243. Print. ---. "Othello: by Donatien Alphonse François, Marquis De Sade." Malahat Review. (2016): 11. Print. ---. "Port." Prairie Fire. 35.4 (2015): 34. Print. ---. "Pushkin Acts Byronic." Dalhousie Review. 95.3 (2015): 334. Print. ---. "Rollcall." Government of Canada, Canada.ca. Web. 29 January 2018. ----. Saltwater Spirituals and Deeper Blues. Lawrencetown: Pottersfield Press, 1983. Print. ---. "Student Posters at the University of Timbuktu." Literary Review of Canada. 23.9 (2015): 16. Print. ---. "The Confession of Marie-Josèphe Angélique, Juin 1734." Event. 43.3 (2015): 43. Print. ---. "The Unfalsified History of Queen Charlotte Sophia (1744-1818)." Dalhousie Review. 95.3 (2015): 335. Print. ---. "To Milton by Phillis Wheatley (1773)." Callaloo. 39.3 (2016). Print. ---. Traverse. Toronto: Exile Editions, 2014. Print. ---. Whylah Falls. Toronto: Raincoast—Polestar Books, 2000. Print. --- and Mona Holmlund. Dalhousie University: A 200th Anniversary Portrait. Fredericton, NB: Goose Lane, 2018. Print. ---. “A Canadian is….” What Is a Canadian? : Forty-Three Thought-Provoking Responses. Ed. Irvin Studin. Toronto: McClelland & Stewart, 2006. 27-31. Print. ---. “Afro-Gynocentric Darwinism in the Drama of George Elroy Boyd.” Canadian Theatre Review. 118 (Spring 2004): 77-84. Print. ---. “Afterword: Let Us Now Attain Polyphonous Epiphanies.” Blues and Bliss: The Poetry of George Elliott Clarke. Ed. Jon Paul Fiorentino. Waterloo: Wilfrid Laurier University Press, 2008. 59-63. Print. ---. “Anna Minerva Henderson: An Afro-New Brunswick Response to Canadian (Modernist) Poetry.” Canadian Literature. 189 (Summer 2006): 32-48. Print. ---. “Anne Szumigalski and Eli Mandel: Two Blakean Poets.” The 2004 Caroline Heath Memorial Lecture. Freelance. [Saskatchewan Writers Guild newsletter] 34.4 (January/February 2005): 5-7, & 34.5 (March/April 2005): 6-9. Print. ---. "Artists and Revolutionary Leadership." Global Brief: World Affairs in the 21st Century, Globalbrief.ca, 1 November 2009. Web. 24 October 2018. ---. "A Story in STONE." Canadian Geographic 137.4 (July/August 2017): 42-47. Print. ---. "A Very Healthy Endeavor." Prism International 55.3 (Spring 2017): 7. Print. ---. “Beatrice Chancy: An Opera Libretto in Four Acts.” Canadian Theatre Review. 1998. Print. ---. “Canadian Biraciality and Its “Zebra” Poetics. Intertexts. 6.2 (Fall 2002): 203- 31. Print. ---. “Correspondences and Divergences Between Italian-Canadian and African-Canadian Writers.” Canadian Multiculturalism: Dreams, Realities, Expectations. Eds. Matthew Zachariah, Allan Sheppard, Leona Barratt. Edmonton: Canadian Multicultural Education Foundation, 2004. 99-108. [Conference Proceedings. “Canada: Model for a Multicultural State Conference, Edmonton, AB, September 27, 2003.”]. Print. ---. Ed. The Dalhousie Review. Special Africadian Issue. 1997. Print. ---. “Discovering Cheng Sait Chia.” Arc. 58 (Summer 2007): 59-75. Print. ---. “Does (Afro-) Caribbean-Canadian Literature Exist? In the Caribbean?” Journal of West Indian Literature. 14.1-2 (November 2005 [June 2006]): 260-302. Print. ---. East Coasting, or Make It Beautiful. Toronto: CBC Radio, “Words & Music Series,” Glenn Gould Theatre, 2004. ---. “Embracing Beatrice Chancy.” Performing Adaptations: Essays & Conversations on the Theory and Practice of Adaptation. Eds. Michelle MacArthur, Lydia Wilkinson and Keren Zaiontz. Newcastle Upon Tyne: Cambridge Scholars Publishing, 2009. 223-26. Print. ---. Ed. Eyeing the North Star: Directions in African-Canadian Literature. McClelland & Stewart, 1997. Print. ---. “Feeling the Blues Inside the Spirituals: Frederick Ward’s Somebody Somebody’s Returning.” Introduction. Testifyin’: Contemporary African Canadian Drama, Volume II. Toronto: Playwrights Canada Press, 2003. 283-85. Print. ---. Ed. Fire on the Water: An Anthology of Black Nova Scotian Writing. 2 vols. Pottersfield Press, 1991-1992. Print. ---. “Frederick Ward’s blistering blues.” ARC Poetry Annual 2010. Ottawa: Arc Poetry Society, 2009. 17-21. Print. ---. “Frederick Ward: Writing As Jazz.” Prairie Fire. 26.4 (Winter, 2005-06): 4-31. Print. ---. “George Fetherling’s Selected Poetry: An Appreciation.” George Fetherling and His Work. Ed. Linda Rogers. Toronto: Tightrope Books, 2005. 42-48. Print. ---. George & Rue: A Novel. HarperCollins Canada, 2004; Secker & Warburg, 2005, Carroll & Graf, 2006; Vintage, 2006. Print. ---. “Gospel as Protest: The African-Nova Scotia Spiritual and the Lyrics of Delvina Bernard.” Rebel Musics: Human Rights, Resistant Sounds, and the Politics of Music Making. Eds. Daniel Fischlin and Ajay Heble. Montreal: Black Rose Books, 2003. 108-19. Print. ---. “ ‘How White Are Your Whites?’ : A Response to Daniel Coleman’s White Civility: The Literary Project of English Canada.” International Journal of Canadian Studies. 38 (2008): 208-20. Print. ---. “The Idea of Europe in African-Canadian Literature.” Zeitschrift für Kanada-Studien. Ed. Martin Kuenster. 26.2 (2006): 39-60. Augsberg, Germany: Wisser-Verlag, 2006. Print. ---. “In Defence of Multiculturalism.” Partners (Spring 2005): 25-6. Print. ---. “Is black just another hue of re-white-and-blue? Or, reading Africana: The Americanization of Africa and its diapora.” At Home in the World: Essays and Poems in Honour of Britta Olinder. Eds. Chloé Avril and Ronald Paul. Gothenburg, Sweden: University of Gothenberg, 2008. 37-50. Print. ---. "Keats, Machiavelli and Truth." Global Brief: World Affairs in the 21st Century, Globalbrief.ca, 11 November 2013. Web. 24 October 2018. ---. “Let Us Compare Anthologies: Harmonizing the Founding African-Canadian and Italian-Canadian Literary Collections.” Belonging in Canada: Immigration and the Politics of Race and Ethnicity. Proceedings from the 19th Annual Reddin Symposium. Ed. Mark Kasoff. Bowling Green: Canadian Studies Center, Bowling Green State University, 2006. 37-57. Print. ---. Ed. Locating Home. Toronto, ON: Tightrope Books, 2018. Print. ---. “Making the ‘Damn’ Nation the Race’s Salvation: the Politics of George Elroy Boyd’s Consecrated Ground.” Introduction.Testifyin’: Contemporary African Canadian Drama, Volume II. Toronto: Playwrights Canada Press, 2003. 393-96. Print. ---. "Mass versus Force." Global Brief: World Affairs in the 21st Century, Globalbrief.ca, 23 March 2014. Web. 24 October 2018. ---. The Merchant of Venice (Retried). Kentville: Gaspereau Press, 2017. Print. ---. “Must All Blackness Be American? : Locating Canada in Borden’s ‘Tightrope Time’, or Nationalizing Gilroy’s The Black Atlantic.” Canadian Ethnic Studies. 28.3 (1996): 56-71. Reprinted in African-Canadian Theatre: Critical Perspectives on Canadian Theatre in English, Volume Two. Ed. Maureen Moynagh. Toronto: Playwrights Canada Press, 2005. 11-28. Print. ---. Odysseys Home: Mapping African-Canadian Literature. University of Toronto Press, 2002. Print. ---. “The Odyssey of History.” The Odyssey by Derek Walcott. Programme Notes.mStratford: Stratford Festival of Canada & Studio Theatre, July 27-September 28, 2007. 5-9. Print. ---. "Paradise, a poet and a promised land." Canadian Geographic 121.1 (January/February 2001): 98. Print. ---. “Play Ebony, Play Ivory by Henry Dumas.” Lost Classics. Eds. Michael Ondaatje, Michael Redhill, Esta Spaulding, and Linda Spaulding. London: Bloomsbury, 2003: 29-31. Print. ---. “Québécité: An Opera Libretto in Three Cantos.” Canadian Theatre Review. 2002. Print. ---. “Race and Racism in Canadian Literature.” Encyclopedia of Literature in Canada. Ed. W.H. New. Toronto: University of Toronto Press, 2002. 922-26. Print. ---. “Raising Raced and Erased Executions in African-Canadian Literature: Or, Unearthing Angélique.” Essays on Canadian Writing. 75 (Winter 2002): 30-61. Print. ---. “Raising Raced and Erased Executions in African-Canadian Literature: Or, Unearthing Angélique.” Essays on Canadian Writing. 75 (Winter 2002): 30-61 Reprinted in Racism, Eh? A Critical Inter-Disciplinary Anthology on Race in the Canadian Context. Eds. Camille A. Nelson and Charmaine A. Nelson. North York: Captus Press, 2004. 65-84. Print. ---. "Rebooting Utopia." Global Brief: World Affairs in the 21st Century, Globalbrief.ca, 11 March 2015. Web. 24 October 2018. ---. “Repatriating Arthur Nortje.” Canadian Cultural Exchange: Translation and Transculturation. Eds. Norman Cheadle and Lucien Pelletier. Waterloo: Wilfrid Laurier University, 2007. 121-38. Print. ---. "Risky Transitions." Global Brief: World Affairs in the 21st Century, Globalbrief.ca, 3 March 2017. Web. 24 October 2018. ---. “Strategies for Legitimizing Difference: Mixed-Race Resistance in the Works of Andrea Thompson and Lorena Gale, Two African-Canadian Writers.” Canada: Images of a Post/National Society. Eds. Gunilla Florby, Mark Shackleton, and Katri Suhonen. Bruxelles: Peter Lang, 2009. 259-75. Print. ---. "Strategy as Chess: The Checkered Record." Global Brief: World Affairs in the 21st Century, Globalbrief.ca, 7 November 2014. Web. 24 October 2018. ---. “‘Symposia’ in the Drama of Trey Anthony and Louise Delisle.” Theatre Research in Canada. Ed. Ric Knowles. 3o.1-2 (2009): 1-16. Print. ---.“’This is no hearsay’: Reading the Canadian Slave Narratives.” Papers of the Bibliographical Society of Canada. 43.1 (Spring 2005): 7-32. Print. ---. “Towards a Pedagogy of African-Canadian Literature.” Moveable Margins: The Shifting Spaces of Canadian Literature. Ed. Chelva Kanaganayakam. Toronto: TSAR, 2005. 47-64. Print. ---. "Transcript of the Berlin Conference (1884-1885)." Global Brief: World Affairs in the 21st Century, Globalbrief.ca, 19 February 2016. Web. 24 October 2018. ---. Trudeau: Long March / Shining Path. Wolfville: Summer Institute of the Trudeau Foundation, 2006; Toronto: Africanadian Playwrights Festival, 2006; Toronto: Harbourfront Centre Corporation, 2007; Halifax: Pier 21 Museum and Mulan Chinese Cultural Centre, 2007; Department of Political Science, University of New Brunswick, Fredericton, NB, 2008. Print. ---. “Trudeau: Long March / Shining Path.” Canadian Theatre Review. 2006. Print. ---. “Undead Poets’ Society.” Idea&s: The Arts & Science Review. [University of Toronto 1.1. (Autumn 2004): 32-3. Reprinted in The Bulletin. [University of Toronto] 60.6 (October 24, 2006): 16. Print. ---. "The Voices of African Canada: A Foreward." African American Review 51.3 (Fall 2018): 161-166. Print. ---. “What Was Canada?” Is Canada Postcolonial? : Unsettling Canadian Literature. Ed. Laura Moss. Waterloo: Wilfrid Laurier University Press, 2003. 27-39. Print. ---. "What Was 'Globalization'?" Global Brief: World Affairs in the 21st Century, Globalbrief.ca, 28 November 2017. Web. 24 October 2018. ---. "Why Not an “African-Canadian” Epic? Lessons from Pratt and Walcott, Etc." Comparative Literature for the New Century. Ed. Giulia De Gasperi and Joseph Pivato, Kingston, ON: McGill-Queen's University Press, 2018. Print. ---. "Wobbling Pivots." Global Brief: World Affairs in the 21st Century, Globalbrief.ca, 2 September 2016. Web. 24 October 2018. ---. “Writing the Pax Canadiana: Terror Abroad, Torture at Home.” Building Liberty: Canada and World Peace, 1945-2005. Eds. Conny Steenman-Marcusse and Aritha van Herk. Groningen: Barkhuis Publishing, 2005. 213-36. Print. ---. Beatrice Chancy. Raincoast—Polestar Books, 1999, 2008. Print. ---. Beatrice Chancy: The Opera. Feature Film. Prod: CBC-TV. 2001. ---. Beatrice Chancy: The Opera. Toronto: Queen of Puddings Music Theatre Company, 1998, 1999; Dartmouth: Queen of Puddings Music Theatre Company, 1999; Edmonton: Queen of Puddings Music Theatre Company, 2001. ---. Beatrice Chancy: The Play. Toronto: Theatre Passe Muraille, 1997. Print. ---. One Heart Broken Into Song. Feature Film. Prod: CBC-TV. 1999. ---. Québécité : A Jazz Opera. Guelph : Guelph Jazz Festival, 2003; Vancouver : Vancouver Jazz Festival, 2003. ---. Québécité: A Jazz Fantasia in Three Cantos. Gaspereau Press. 2003. Print. ---. Québécité: The Play. Ottawa: Pennyworth Productions, 2006. Print. ---. Trudeau: Long March / Shining Path. Gaspereau Press. 2007. Print. ---. Whylah Falls: The Play. Dartmouth: Eastern Front Theatre, 1997, 2000; Ottawa: National Arts Centre, 1998, 2000; Venice, Italy: Universite de Venezia, 2002. Print. ---. Whylah Falls: The Play. Playwrights Canada Press, 1999, 2000. Print. Andrews, Jennifer. "Re-Visioning Fredericton: Reading George Elliott Clarke's Execution Poems." Studies in Canadian Literature 33.2 (2008): 115-32. Print. Banks, Michelle. "Myth-Making and Exile: The Desire for a Homeplace in George Elliott Clarke's Whylah Falls." Canadian Poetry: Studies, Documents, Reviews 51 (2002): 58-85. Print. Brydon, Diana. "George Elliott Clarke's Othello." Canadian Literature 182 (2004): 188-94.Clarke, George Elliott. "Embracing Beatrice Chancy, Or in Defence of Poetry." New Quarterly: New Directions in Canadian Writing 20.3 (2000): 15-24. Print. Compton, Anne. "Standing Your Ground: George Elliott Clarke in Conversation." Studies in Canadian Literature/Etudes en Littérature Canadienne 23.2 (1998): 138-64. Compton, W. "'Even the Stars are Temporal': The Historical Motion of George Elliott Clarke's Saltwater Spirituals and Deeper Blues." West Coast Line 22.1 (1997): 156-63. Print. Compton, W, McNeilly, K. "The Crime of Poetry: George Elliott Clarke in Conversation with Wayde Compton and Kevin McNeilly." Canadian Literature 182 (2004): 53-64. Print. Domínguez, C. P. "On Black Canadian Writing: In Conversation with George Elliott Clarke." Atlantis: Revista de la Asociación Española de Estudios Anglo-Norteamericanos 23.2 (2001): 187-200. Print. Hlongwane, D. G. "Whips, Hammers and Ropes: The Burden of Race and Desire in Clarke's George & Rue." Studies in Canadian Literature 33.1 (2008): 291-306. Print. Knutson, S. “’I am become Aaron’: George Elliott Clarke’s Execution Poems and William Shakespeare’s Titus Andronicus.” Canadian Cultural Exchange: Translation and Transculturation. Ed. Norman Cheadle and Lucien Pelletier. Waterloo: Wilfrid Laurier University Press, 2007. 29-56. Print. Kyser, K. “George and Ruth: An Interview with George Elliott Clarke about Writing and Ethics.” University of Toronto Quarterly 76.3 (2007): 861-73. Print. Lane, M. T. "An Impoverished Style: The Poetry of George Elliott Clarke." Canadian Poetry: Studies, Documents, Reviews 16 (1985): 47-54. Print. Larson, K. “Resistance from the Margins in George Elliott Clarke’s Beatrice Chancy.”Canadian Literature 189 (2006): 103-18. Print. MacLeod, A. "'The Little State of Africadia Is a Community of Believers': Replacing the Regional and Remaking the Real in the Work of George Elliott Clarke." Studies in Canadian Literature 33.2 (2008): 96-114. Print. Moynagh, M. "Mapping Africadia's Imaginary Geography: An Interview with George Elliott Clarke." ARIEL: A Review of International English Literature 27.4 (1996): 71-94. Print. ---. "Signature Pieces: Revisiting 'Race' and Authorship." Essays on Canadian Writing 81 (2004): 152-71. Print. Steven, L. “Transculturation in George Elliott Clarke’s Whylah Falls: or, When Is It Appropriate to Appropriate?” Canadian Cultural Exchange: Translation and Transculturation. Ed. Norman Cheadle and Lucien Pelletier. Waterloo: Wilfrid Laurier University Press, 2007. 99-119. Print. Thomas, H. Nigel. "Some Aspects of Blues use in George Elliott Clarke's Whylah Falls." CLA Journal 43.1 (1999): 1-18. Print. Weaver, M. A. “Gold Indigoes by George Elliott Clarke” African American Review. 35. 3 (2001): 497. Web. 9 March 2013. Print. Wells, Dorothy. “A Rose Grows in Whylah Falls.” Canadian Literature. 155 (1997): 56-73. Print. Web. 9 Jun. 2015. Willis, S. "Anansi History: George Elliott Clarke's Whylah Falls." Journal of Commonwealth and Postcolonial Studies 9.1 (2002): 47-56. Print. Wilson, A. "Beatrice Chancy: Slavery, Martyrdom and the Female Body. "Siting the Other: Re-Visions of Marginality in Australian and English-Canadian Drama. Ed. Marc Maufort and Franca Bellarsi. Brussels, Belgium: Peter Lang, xi, 2001. 267-278. Print. Wyile, Herb. “‘We Have to Recover Their Bodies’: George Elliott Clarke.” Speaking in the Past Tense: Canadian Novelists on Writing Historical Fiction. Waterloo: Wilfrid Laurier University, 2007. 133-64. Print. ---. “Making a Mess of Things: Postcolonialism, Canadian Literature, and the Ethical Turn.” University of Toronto Quarterly 76.3 (2007): 821-37. Print.